“Me too, me too” he said. However you do it, remember to play everyday. 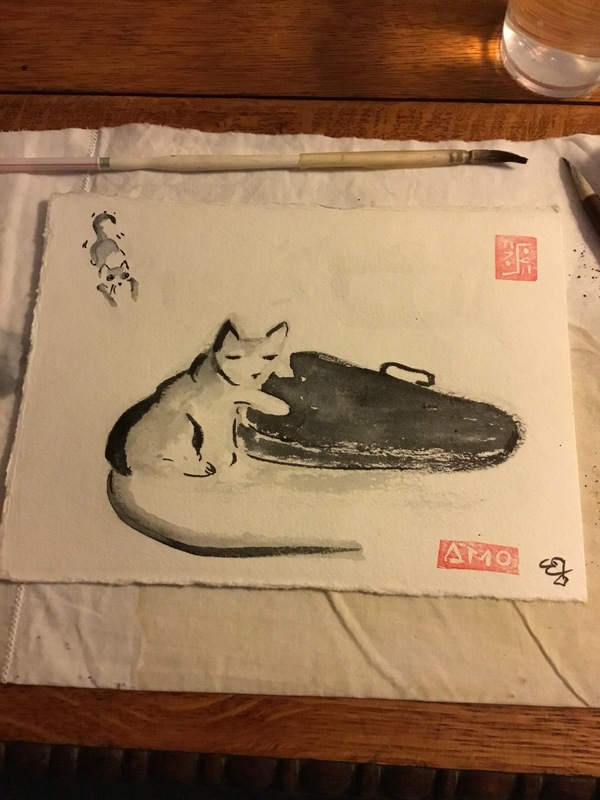 This entry was posted in The Now and tagged animal assisted chaplaincy, art, blessings, cats, daily practice, Elizabeth Teal., ink brush meditiation, kittens, music, poetry, spirituality, sumi-e, violin, violin case. Bookmark the permalink.